In today’s business community, organizations need not commit to long-term, full-time staffing for every skill position and every eventuality. The idea that resources (human resources and aircraft in particular) should be engaged only when required...where required...and for the duration required, is a centerpiece of Avia’s thinking. We are structured accordingly. The Flatirons Avia Specialist Team consists of very senior industry problem solvers - creative experts in all jet flight operations and maintenance disciplines - available to efficiently resolve the serious challenges that can 'ground' an organization and aircraft, alike. Sometimes organizations need an 'overhaul', similar to an aircraft or a turbine engine. And, often an owner is left to deal with issues regarding skill positions, staff and circumstances that are highly nuanced and far beyond his everyday business and expertise. The FAST rapid response team answers emergencies with critical timing needs... tailors its first responder team, long-term staff solutions, corrective actions and level-of-effort to each project's demands and to the term of service required. Avia’s principal interests and core skills are connected with the purchase, sale and lease of business jets and airline equipment - for its own account or for the account of its clients. It has completed transactions involving several hundred jet aircraft and a number of turbo-props. Avia is knowledgeable of the new and used equipment of all the major aircraft manufacturers, most helicopter manufacturers and the large luxury yacht producers – particularly regarding the most effective means of their purchase and sale. A by-product of engaging in any high end mobile equipment marketplace such as that of jet aircraft or luxury yachts, is the conduct of business in many cultures throughout the free world. It has been a welcome perquisite for our staff and associates to transact business from Austria to Australia, Russia to South Africa and Alaska to Argentina...and in doing so, gain the reward of meeting people of true accomplishment in many of the world’s most distinguished corporations, families and governmental bodies. One of our founding business concepts in 1977 was that of aircraft joint ownership (and joint “usership”) based on the notion that business jets are built in whole units...buyer’s could only purchase (or lease) one, two or three aircraft, etc...yet, the needs of many potential buyers could be met by the use of a fraction of an aircraft. A new market segment was created in which one jet could serve many users in a manner superior to charter & superior to sole ownership. Avia’s approach was to utilize its joint ownership structure to significantly reduce costs for our clients upon their entry into fractional aircraft usage, during their participation, and upon their exit - not for Avia to profit unduly from our clients at every opportunity…as was to become very much in evidence with the various fractional ownership organizations that began a decade or more after Avia. Traditionally, Avia’s interest in leasing aircraft for its own account had largely been driven by U.S. tax incentives. Since the termination of Investment Tax Credit in 1988, and prior to the recent Jobs Creation Act (Bonus Depreciation), the most attractive leasing incentives for Avia and its clients have not been as intensely tax oriented. However, incentives for Avia clients certainly have included their capture of optimal initial investment values, plus their enjoyment of the high residual values typical of well selected jet aircraft (through opportune purchase options that Avia can offer, or Avia’s aggressive residual value assumptions – things we are uniquely able to offer because, above all, we are aircraft investors with decades of jet aircraft investment experience, not a financial institution, limited by regulation, that conducts some of its business in aviation). Avia is a unique lessor. Avia does not infuse the equipment into its leases at retail, or retail plus, as is all too common in the industry, nor does it have an institution’s regulatory constraints on residual value assumptions that, if required to govern a lease, will drive up the lessee’s rental expense…and Avia openly advises clients to clearly recognize, and how to benefit from, the typically buoyant residual values of quality jet aircraft. In short, we share the rewards of each transaction with the lessee. Avia offers the aircraft and the lease financing as a package…and, importantly, Avia: passes through to its clients the benefits of Avia’s market knowledge in acquiring the finest aircraft at the best possible price/value; selects the optimal model for the client’s missions; and selects the best investment in present and future value terms. In the normal course of business, Avia has become knowledgeable of all the various permutations within the leasing industry. This enables Avia to tailor a lease structure to its client’s exact requirements. Avia offers consulting services that include: feasibility studies; aircraft mission analyses and optimal model selection…negotiations with the manufacturer regarding new aircraft acquisitions; contract authorship; basic spec and optional equipment analysis; oversight of new aircraft production and green acceptance; new aircraft completions; and the final delivery inspections, contract conformity, penalty clause administration, function tests and the flight test of new aircraft…the placement into service of new and used aircraft...negotiations with sellers of used aircraft; contract authorship; pre-purchase inspection oversight of used aircraft; the updating, modification, redesign and refurbishment of used aircraft…traditional and lease financing of new and used aircraft…as well as imports and exports. Avia’s recognized aircraft appraisers have been engaged by investors, lending institutions and the government of the United States regarding aircraft current valuations and future value projections. 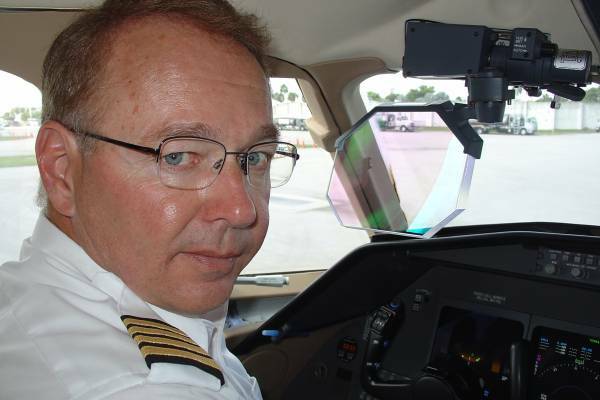 Aircraft management is a service that we have made available on a long term basis through our highly experienced staff and associates. This can be conducted in various nations and under various flags of registry. Short term services that Avia has provided include the set-up of new flight departments, the set-up of Part 135 operations, consultations regarding the set-up of new airlines and the transition of flight departments to new aircraft types. 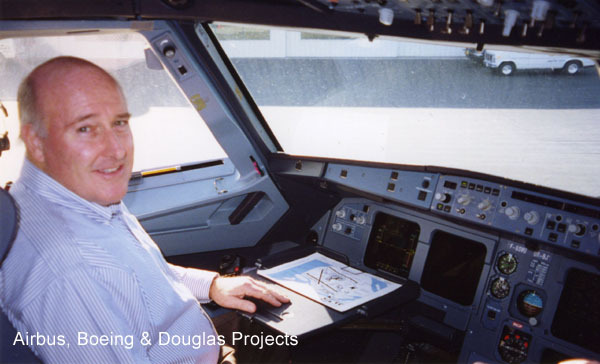 We have specialized in the operation of Bombardier, Gulfstream, Falcon, Hawker, Citation, Lear and Westwind models and we can make consultants available regarding most Boeing and McDonnell-Douglas types and certain Airbus types. The cornerstones of the safety regime of quality aircraft operations include well selected equipment, thorough and ethical maintenance and the finest human resources in the cockpit. Avia recognizes how important quality build and cosmetics are in optimizing any acquisition, lease or resale effort. We offer our clientele consultancies involving the entire range of build and design activities including “green production” oversight, design specification work-up, negotiations with candidate refit shops and completion centers and the comprehensive oversight of aircraft refits and completions. Rather than create its own facility for such undertakings, Avia conducts refit and completion oversight in existent facilities around the globe, as masters of the many disciplines required and involving a great variety of aircraft models. A cosmetic refit may be done during inspections, maintenance, mechanical updates or avionics updates. To optimize the quality of design, materials selection, execution, and the cost-effectiveness of the shops, Avia has a policy of strict on-site project supervision. To illustrate one small distinction that makes a big difference…the narrow discipline of a “colorist” is an important industrial design function. Color, finish, texture, materials and the interaction of the variety and volume of each, can mean the difference between adding significant value...motivating potential buyers...or the diminution of the value, salability, and serviceability of an aircraft or yacht. With that in mind, Avia has obtained the skills of truly talented, experienced colorists and designers. Avia’s range of capabilities may be best demonstrated by our multiple Gulfstream II wing de-mate projects during the 1980’s. These investments involved re-winging existent Gulfstreams with new GIII wings and upgraded undercarriage assemblies to create GIIB aircraft. 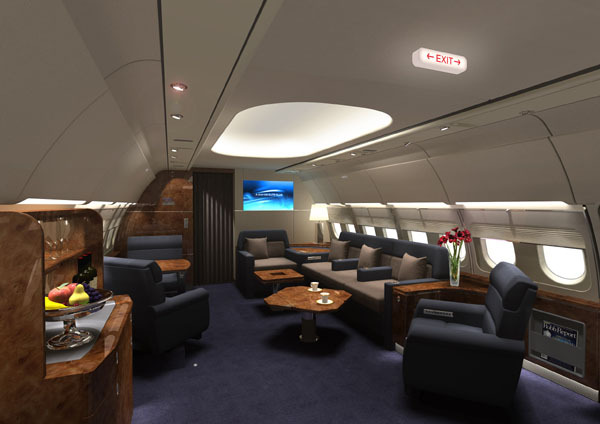 These undertakings included complete aircraft rewiring, interiors (among the Gulfstream factory’s first interior projects), major maintenance and updates of avionics, ASC, AD & SB status. In addition, Avia is experienced in engine retrofit projects. For our own account, Avia conducted multiple British Aerospace (Hawker) 125 fan jet engine retrofits with full EFIS avionics and interior refits done with the manufacturer at Chester, England...and Avia is highly experienced with the original outfitting (completion) of newly manufactured aircraft ranging from Citations & Lears, to Falcon & Global Express models, to Embraer Lineage, Boeing & Airbus Corporate Jets. From selection, acquisition, design and production oversight…to launch, sea trials, operational set-up and management…and, ultimately, to resale…Avia offers a broad range of yachting services to its clientele that is similarly comprehensive to that of Avia’s business aviation roles. This industry cross over has been prompted by: many Avia clients developing interests in yacht ownership contemporaneous to their business jet ownership…no other organizations offering Avia’s full services in both the aviation and the marine markets...Avia’s appreciation for the similar quality of life enhancements that both technologies deliver to our clients…and Avia’s recognition that business jets and yachts can each attain the stature of functional “mobile art work” with quality design and meticulous build standards faithfully incorporated due to our completion/refit oversight. Clearly, there is a significant transference of form and function between these two means of very personal transport. Our emphasis has been placed on the production of the highest quality Dutch, German, Italian and American yards: Feadship, Amels, Heesen, Royal Denship, Moonen, Lurssen, Abeking & Rasmussen, Schweers, Blohm &Voss, Benetti, Burger, Delta, etc...particularly vessels of the 30 - 75 meter length (approximately 100 - 250’). 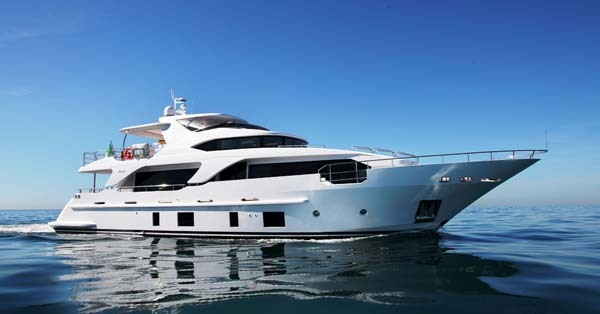 Fractional Ownership of brand new 93' Benetti Delfino model yachts is now immediately available... initial deliveries have been completed and more are en-route. Sister-ships built to the exact same specifications, featuring every type of water sports equipment, will join this professionally managed fleet and be positioned in the world's most popular cruising grounds. Fractional owners and their guests will experience the finest cruising, world-class personal service, great cuisine and many adventures in world exploration. These rewards await new participants, absent the expense of sole ownership. Our message is - escape. Escape the burdens of yacht oversight workloads... escape the expense of gaps in your time spent cruising... escape long, costly ocean crossings required to reposition your yacht... return to the idea that yachts do provide freedom. In addition to appealing to new yachtsmen, this program also presents a unique solution to many experienced owners facing the dilemma of selling their present vessel, well suited to continued regional use, in order to commit to the acquisition of a much more costly successor... a successor capable of 'blue water' crossings so the owner can enjoy the Med, Caribbean and Pacific. Now available is the highly practical alternative of adding a fraction of a new, professionally crewed and managed yacht. And there is a bonus - the option of exchanging time aboard a like-kind Med based yacht for one vacation... a Pacific based yacht for the following vacation... or selecting from other exciting cruising grounds. Our program permits participants to pick their cruising grounds - take the option of traveling via our jets, or traveling on their own - and, after enjoying their adventure, return home, free of the labors of managing a remotely located investment. Fractional ownership of larger and smaller models will also be offered. Contact us for details about our unique aviation-marine usage opportunities... plus our strategic alliance with luxury vacation experiences and vacation properties. Avia has comprehensive abilities…and is available to seamlessly resolve 100% of a client’s aviation needs. This has been the model for our comprehensive marine services as well.